If you love to buy American-made products, you will want to start your search with Cambria. 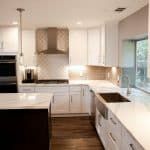 This brand offers beautiful quartz countertops which are produced in the United States of America. 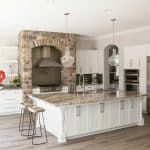 Those who choose Cambria tend to be impressed by the commitment to quality that is evident in the products sold under this brand name.